I first learned about Andrew Kornylak's work through viewing the now-classic Heart of Stone, a short film about climbing and community in the South. I was struck by the richness of the imagery and the sensitivity of the narrative. It stood out in bold relief from the typical mode of climbing film-making. Andrew has a new project, The Beta, a series of short clips about classic problems in the South. Today I will post an interview with this thoughtful and innovative photographer. Tomorrow I will post his comments on two of the films he has up on Vimeo. Be sure to check out his blog as well. 1. Who is Andrew Kornylak? Im a photographer from Atlanta. I grew up in Ohio, spent some time out West. I've been climbing since '93. I have a degree in mathematics, and worked as a software developer for about 10 years while I transitioned to photography. My roots are in climbing photography. I've lived off and on in Atlanta for about 8 years now. It's funny you should ask that way. Someone had just emailed me with advice about becoming a photographer, and I told him, among other things, that he needed to think about who he was as a person and then express that through his photography. I was thinking about how your work starts telling your story for you, more than a bunch of stats. 2. What is the Beta series all about? I've been involved with the Triple Crown and the climbing organizations like the Southeastern Climbers Coalition for a long time, especially through my photography and video work, which I think can be a powerful tool to get people motivated to get involved with stewardship of their climbing areas. So this year, I partnered as a Gold Sponsor with the Triple Crown to produce media specifically with this goal in mind: to keep the interest level high leading up to the competition, and to keep people coming back to the triplecrownbouldering.com website. The other sponsors also benefit from content for their website. 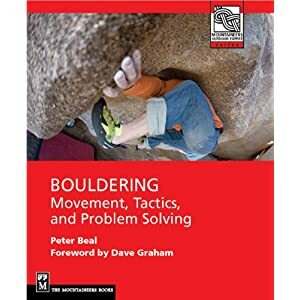 I thought a series of videos where a local gives you the beta on classic boulder problems would be cool, and something easy to riff on. Short and sweet. I don't think it will ever get old as long as you have interesting people and cool problems. There's an infinite supply of both of those down here. Technically speaking, a video series was an opportunity to experiment. I used different cameras and techniques in each episode. 3. What does making a climbing video mean to you? The first real climbing video I produced was Heart of Stone, which was shot mostly by Josh Fowler, and it really didn't have all that much climbing in it. I'm obviously really psyched on climbing, and I love watching great climbing, but I think only climbing nerds really like to sit and just watch someone climb. You owe it to everyone else to tell a story. That's what I'm psyched on with climbing videos, its a way to tell a story with more dimension than a photograph. The climbing part is just the hook though, there has to be something else interesting there, in my opinion. 4. Who are other filmmakers you admire and why? Actually shooting climbing is a separate pleasure. It's so challenging and to have the kind of skills, access, and time to do it well is rare. Guys like Eric Perlman, Peter Mortimer, Josh and Brett Lowell along with Cooper Roberts, David Breashears - those guys have that juice in the climbing niche. Outside of the climbing world, there are so many great filmmakers, but with bigger productions its hard to pin down really who is responsible for what you like. I'm more interested in documentary filmmaking. Anything with David Attenborough in it is gold. I've always admired the IMAX filmmakers, Greg MacGillivray and (the late) Jim Freeman. Sean Fine, who directed War/Dance is amazing. I'm a fan of the Coen Brothers. 5. Where is the future of climbing video headed? Video is heading in a lot of directions at once right now. On the technical side you have an explosion of technology from still cameras that shoot HD video, and video cameras that shoot at extreme resolutions, with the modularity and operability of still cameras. The web is a sandbox for experimentation, because you can easily display and distribute any format, resolution, or frame rate digitally. Production software that used to cost millions you can now run on your laptop for a few hundred bucks. For the climbing world, it means you are going to have to wade through a lot of bad video! But these are mainly tools that benefit documentary filmmaking, so it means that if you are interested in telling a story beyond sick climbing action, you have more opportunity. that's where the future is. "The climbing part is just the hook though, there has to be something else interesting there, in my opinion."